People of villages surrounding this college once united to set up an institution to raise their children to the hitherto elusive level of College Education. It was no easy task. Majority of the villagers lived below or just above the poverty line. Bullock carts, oil lamps, long stretches of mango orchards, banana fields and bamboo groves infested with ghosts and all sorts of real and imaginary animals, snake bites, illicit liquor, jatra were what mostly filled their lives. In that academically not-so-encouraging background Khalisani Mahavidyalaya started its anxious step towards an uncertain future on 1st September. The year was 1970 - in the midst of an unprecedented turbulence in the state when education was consigned to flames. Another dimension to the challenge was the existence of some reputed and well-connected colleges nearby which drew long queues of admission-seekers. So, on that historic day there were only a handful of students to start with. 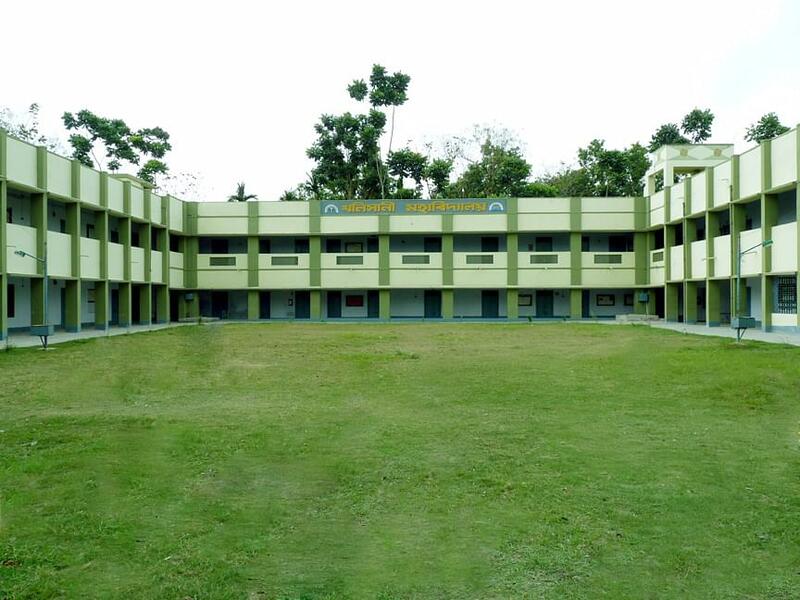 The college has traversed a long, arduous course to reach the stage of attainment where it can humbly boast of its salient contribution towards the social and economic changes in this locality by providing opportunities for college education to those whose parents never went to a college. Of the 1600 current students many have come from rural areas. Affiliated to the University of Burdwan, a four-star institution, this college presently offers altogether 22 courses to cater to students’ varied interests. Plans are afoot to add more courses to the basket. In the late 1980s, Khalisani Mahavidyalaya set up a centre, at Bilkuli—about two kilometers west of the college building, to train unemployed youth of both genders towards self-reliance. A good number of people were trained on carpentry, tailoring, food-processing, bee-keeping etc. Presently the centre is undergoing the process of a change-over.